This is a series of illustrations I created for The Encounters with the Imaginary Volume 3. 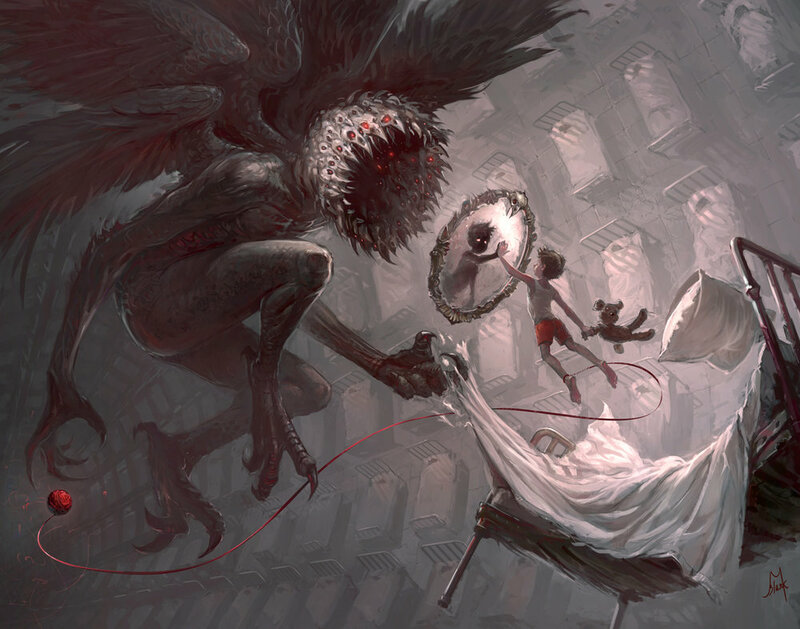 The illustrations go with the story about an encounter of a young boy with the God of Nightmares, Icelus. You can purchase these prints in my shop.